Source: paperback purchased from the bookstore where I work! Synopsis (from the publisher): Georgina Hayes is desperate. Ever since her father left and they were evicted from their apartment, her family has been living in their car. With her mama juggling two jobs and trying to make enough money to find a place to live, Georgina is stuck looking after her younger brother, Toby. And she has her heart set on improving their situation. When Georgina spots a missing-dog poster with a reward of five hundred dollars, the solution to all her problems suddenly seems within reach. All she has to do is “borrow” the right dog and its owners are sure to offer a reward. What happens next is the last thing she expected. Why I loved it: It's funny and sad at the same time. Barbara O'Connor had me from the first line: "The day I decided to steal a dog was the same day my best friend, Luanne Godfrey, found out I lived in a car." This book would be an excellent discussion starter for you and your kids to talk about the ever-present problem of homelessness in our society, and what could be done about it. There's also the moral dilemma Georgina struggles with. 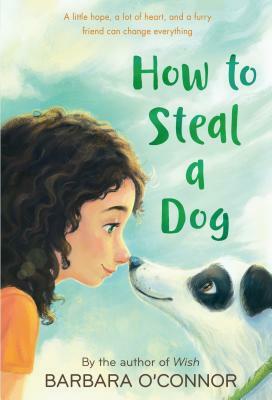 She knows it's wrong to steal a dog, but she's tempted to take Willy because of the possible reward his owner, Carmella, might offer. Do desperate situations ever justify desperate actions? Rest assured that Georgina is not a bad kid and keep in mind that this is a middle-grade novel. So even if Georgina gets in trouble, she'll find a way to fix things. The voice is perfect. Georgina really sounds like an ten-year-old girl from Darby, North Carolina, who struggles with the embarrassment of being homeless, trying to wash her hair in a gas station restroom, doing homework by flashlight, eating out of a cooler. She's sick of it and she lets us know. The writing is lovely, filled with specific details that bring Georgina's world to life, and dialogue that's spot-on. The end is guaranteed to melt your heart. I've sold dozens of copies of this book in the bookstore. I've only had a couple of potential customers balk at it because of the title. But trust me, this is NOT a story about a kid who steals. This is a timely story about homelessness and family and love and doing what's right. Other middle grade books about homelessness that I've read: Also Known as Harper by Ann Haywood Leal, and The King of Dragons by Carol Fenner. Have you read any other middle grade books about homelessness? Feel free to share them in the comments. MMGM is the brainchild of Shannon Whitney Messenger. Congrats, Barbara! And expect an email from me asking for your address. Thanks to everyone for entering. I really wish I could give each one of you a copy of this book because I love this series so much! Hope you'll go look for it at your local library or bookstore. Marvelous Middle Grade Monday -- Chronicles of Ancient Darkness... and a Giveaway! 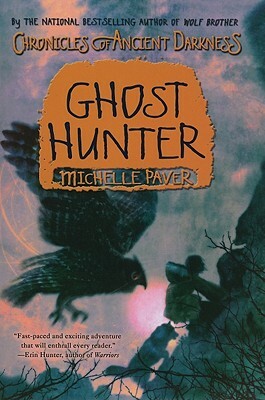 Chronicles of Ancient Darkness, a six-volume series by Michelle Paver (published between 2004 and 2009 in the US by HarperCollins, in England by Orion, for ages 9 to 12). I love them all, and especially how the characters grow throughout the series, but to keep this post short I'll just talk about the first volume. The epic journey of boy and wolf begins. Six thousand years ago. Evil stalks the land. 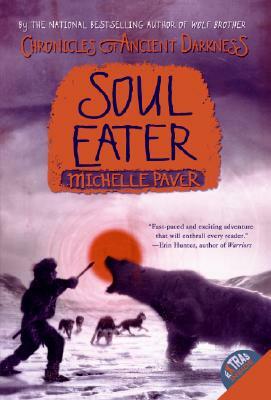 According to legend, only twelve-year-old Torak and his wolf-cub companion can defeat it. Their journey together takes them through deep forests, across giant glaciers, and into dangers they never imagined. Torak and Wolf are terrified of their mission. But if they do not battle to save their world, who will? Why I loved it: It's different! How many children's books can you think of that take place six thousand years ago in northern Europe? 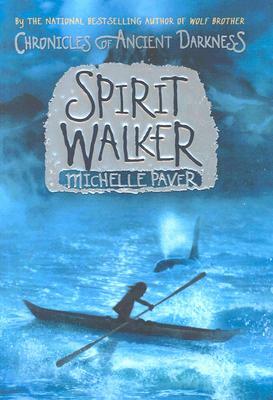 This book is packed with adventure and rich with sensory details. The writing is gorgeous! It's incredibly easy to picture Torak's world because the author shows it to us so well (and she's really done her research). We run through the forests right alongside Torak and Wolf as they search for the demon-possessed bear. This book is so exciting, you won't want to stop reading. It's an interesting mix of fantasy and reality, leaning more toward reality. The other thing I love about this book (and the whole series) is the ever-deepening relationship between Torak and Wolf, and the way they communicate. Orphaned and clanless, Torak has no one but Wolf for company in the beginning. The book is written in third person, and occasional chapters focus on Wolf. The fact that he believes Torak is a tall tailless wolf is priceless. The characterizations are wonderful. Besides Torak and Wolf, you'll get to know Fin-Kedinn, the Raven Clan chief who allows Torak to stay with them and who becomes a sort of mentor to Torak. And Renn, a girl who helps Torak. 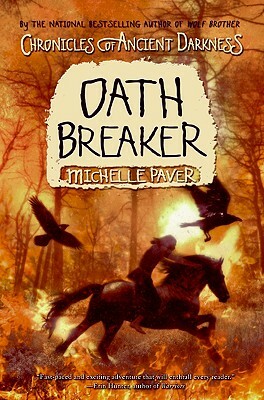 She's a Raven Clan seer who predicts that Torak will fulfill an ancient prophecy. You'll see more of these characters in the other volumes. So what do you think? Have you read Chronicles of Ancient Darkness? Does anything else even begin to compare? What?!? You haven't read it?!? Well, how about a giveaway then? 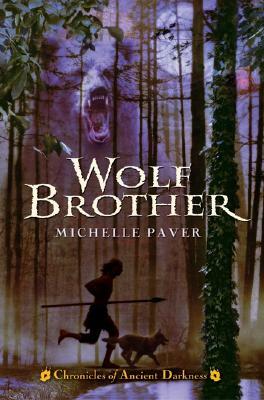 I'll give one copy of the paperback of Wolf Brother to one lucky winner. That's it! This giveaway is open internationally and ends at 11:59 pm EDT on Friday June 24. I'll announce the winner no later than Sunday June 26. Yay! Congrats! Expect an email from me asking for your snail mail address. And thanks to all for entering. There will be plenty of other giveaways this year, as my bookshelves are threatening to collapse. Hope everyone is enjoying June. The weather is cooperating nicely here in Eastern PA! 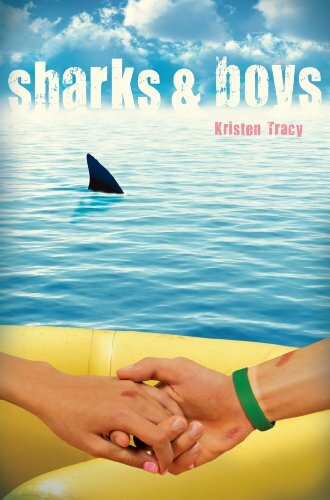 First, a reminder that you still have UNTIL TUESDAY NIGHT to enter my Sharks & Boys arc giveaway. Be a follower and leave a comment on this post to enter. Angela at The Bookshelf Muse is having a HUGE contest to celebrate 2000 followers! Go see what it's all about! 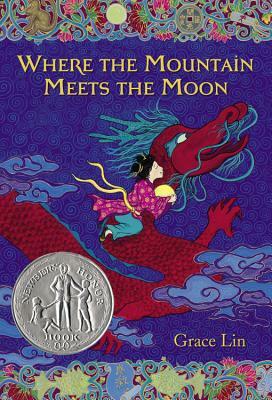 ... and you can enter to win an AUTOGRAPHED copy of Grace Lin's Where The Mountain Meets the Moon over at Katia Raina's blog, Magic Mirror. I met Katia near the end of the NJ SCBWI conference a week ago. She was fascinating to talk to. She told me the story of her full name, and I told her the middle-grade novel I've recently finished writing is about a Russian girl named Katerina! Life is full of coincidences. And Katia did a great job of recapping the conference here, for anyone interested. The conference was exhilarating, packed with helpful workshops. I crammed as much info as I could into this old brain. Met a lot of wonderful writers and illustrators. Ate too many bad carbs. Came up with some new story ideas and ways to fix the old stories. For me, the best part of attending writing conferences like this one is the inspiration. I came home and did nothing but write (well, besides working at the bookstore, eating, sleeping, and spending time with my family! And not necessarily in that order!). So now I'm fired up to start submitting again. That's why I go to these things when I can. 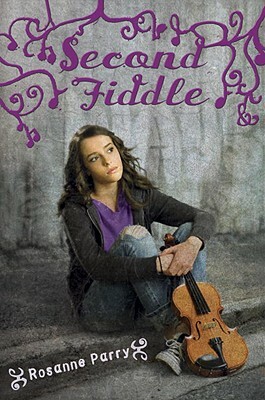 Second Fiddle by Rosanne Parry (Random House, March 2011, for ages 9 to 12). Source: I won the hardcover from Natalie Aguirre over at Literary Rambles! Synopsis (from the publisher): The author of Heart of a Shepherd offers another sensitive portrayal of military families, this time stationed abroad, in the city of Berlin at that historic time just after the Wall came down. Why I liked it: I wanted to read this very badly after seeing it on Natalie's blog (you can read Natalie's interview with Rosanne Parry here), because I have family in the military and I actually spent some time in Berlin, although it was before the Wall came down. I've also been lucky enough to visit Paris. And I love classical music (although I played the oboe in school, not the violin). After reading Second Fiddle, though, I quickly realized it's the story and the likeable main character that linger with me, not just the incredibly accurate details about Berlin. So it has broad appeal to anyone, even if you've never been to Berlin or Paris (and most 10- or 11-year-olds haven't!). It's about friendship and music, and it will also appeal to mystery/thriller fans, as the excitement ratchets up when the girls try to smuggle their new friend to Paris to save his life. This is a true middle-grade novel. Jody is on the cusp of adolescence (she often mentions being jealous of her more sophisticated friends, Vivien and Giselle, who seem to know so much more about fashion and make-up and boys). Music is her life. But she's worried about moving to the States (her dad is retiring from the army) and losing her best friends. Finally, it's refreshing to read a book in which both parents are still alive. Seems like a rarity in MG lit these days. 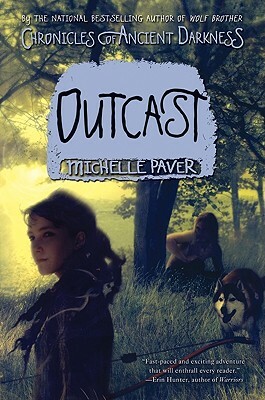 What middle grade marvel have you read this week? Just when you thought it was safe... a GIVEAWAY! When 15-year-old Enid Calhoun follows her boyfriend Wick to Maryland for a party, fearful that he might be intending to cheat on her, she finds herself sneaking on board a houseboat where Wick and his friends plan to have a wild night. But before the boys discover their stowaway, a hurricane strikes, and the teenagers are carried miles from the shore and shipwrecked. 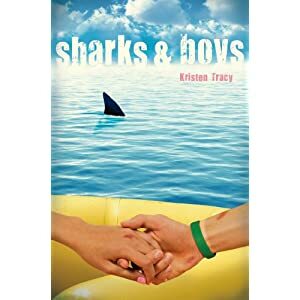 What follows is a harrowing, yet heartwarming, story of survival, as the teens battle hypothermia, dehydration, man-eating sharks--and along the way, confront their own deepest secrets, including their catalytic roles in the disaster. Why I liked it: Okay, what the synopsis doesn't tell you is that four pairs of twins from Vermont end up on a life raft in the Atlantic Ocean, after driving many hours to Annapolis. If you can get past that opening, I promise you'll devour this book. I literally couldn't tear myself away from the page. Desperately wanted a drink of cold water, and decided I'm not going out on a boat anytime soon, but I thoroughly enjoyed this book. Despite the brutal subject matter (and yes, there are some shockers), this book is funny! Enid's voice is spot-on. She's a smart girl who's absolutely clueless that she's stalking Wick. It's also inspiring. There's a lot of soul-searching and emotional depth here, as these teens confront the idea of their own mortality. And Kristen has a logical explanation for the twin pairs. They all knew each other from twin studies back in Vermont. When you learn Sov and Munny's story, you may even find yourself in tears. That's all! Hey, it's been 97 degrees F here today and I'm too hot to think about making it more complicated (but if you want to tweet about it, feel free)! What's your favorite read so far this month? Marvelous Middle Grade Monday - NOT! Marvelous Middle Grade Monday is the brainchild of Shannon Whitney Messenger. She always has something fun up her sleeve. Have fun and I'll be back with something new next week. I may possibly be featuring a new YA later this week. Depends on the weather. Is it shark season yet? When you wrote your first book, The Opposite of Invisible, about Alice and Jewel, did you already know you wanted to write a companion novel about Vanessa? It was actually my editor's idea to do the companion. I was planning on Opposite standing alone. Then I was asked if I could do more in the same world and I had the freedom to choose exactly what shape that would take. Right away, I liked the idea of getting to know Vanessa better. I also knew early on that I wanted her story to be set in the spring because I wanted to present a different Seattle than the fall one in Opposite. Vanessa has an unusual way of expressing herself, both in her hair and clothing and in her art. Can you tell us where you got the idea for this? Do you know someone like Vanessa or is she a totally invented character? She's invented, but I've always wanted to write a girl like that. I actually did have pink hair for a while, but it was when I was in college, older than Vanessa. I never had the guts to dress like her, but if I were sixteen now, that might be how I'd dress. I've always connected to people across social groups, so I think that's partially why I was interested in writing a sort of edgy-looking girl. To show that she's really just a girl, like everyone else. That's also why her best girlfriend is totally clean-cut. Have you always wanted to write for teens? I've always wanted to write books, but it wasn't until maybe 2002 that I really fell in love with YA. After college, I went to the University of Denver Publishing Institute, where you get to find out all about working different jobs in the publishing world. That's where I realized I was most drawn to kids' books. So when I moved to Seattle I got a job at All for Kids, a bookstore. Then I was reading all the YA galleys and just devouring them. It was MT Anderson's FEED that made me really fall hard for the genre. I think the voice in my head is a perpetual teenager too. Tell us a little about your journey as an author. You have an MFA, right? Do you think that degree helped you get published? When I read FEED and all those other YA books, I noticed a trend -- a lot of the authors were graduates of or teachers at the Vermont College MFA program in Writing for Children & Young Adults. M.T. Anderson was the faculty head at the time. So it was a no brainer to apply! I ended up going and getting to work with him and other literary heroes of mine. I don't know that the actual degree helped me get published, but the program definitely did. Without deadlines and valuable feedback, I don't think I'd have written a novel. I actually wrote Opposite in the program. Wow, lucky you! Working with M.T. Anderson must have been cool. So tell us, how many drafts did you write of this novel? I don't know how to keep track of drafts! I have kind of amorphous blobs going on until it's "done". I can tell you that I spent about two years working on this one. I probably wrote three whole novels to get to this finished one. What about The Opposite of Invisible? About the same as this one. Writing, re-writing. I write myself into the story, so I produce way more words than I can actually use to tell a coherent story. Was the second book easier to write than the first or harder? It was much harder! I had a bit of a mental hang-up because the second one was under contract, so I kept thinking about how my editor had to like it, my agent had to like it, people would actually read it. I had to make myself forget all that. But it was hard. I was also missing the frequent feedback from my MFA program. Vanessa is bored with high school and anxious to grow up and start her "real" life. Did you feel that way in high school? I wasn't as anxious as she is. I think I was actually a little scared. I remember going off to college and thinking that would be my last "first" for some reason. I guess I measured my life to that point in new teachers, new classmates, etc. I was scared to stay the same forever more. Of course, that was silly. If we're lucky, we keep growing and experiencing new things throughout our adult lives too. What advice would you give teens who are bored with high school ? Just to hang in there. You have to get your education for so many reasons. But that doesn't mean it has to be your whole life. Do other things that you love. Indulge in your favorite things. And remember that time passes. Just try to enjoy where you are for what it is. You grew up in PA but you now live in Seattle. What do you love most about Seattle? Ooh, good question. I think I love my lifestyle here. I get to write in little coffee shops and the rain actually makes me feel very cozy. There's also just a good, relaxed vibe here. What do you miss most about PA? The pizza! Might sound weird, but there is not a truly yummy slice of pizza on the west coast, as far as I can find. Also my family members who are still there. I also miss the sense of being near an "old" city like Philadelphia. I feel like people there have a stronger sense of pride for having grown up there. In Seattle, a lot of us are transplants. Thanks so much for your time, Liz! Much appreciated. In the past few months, I've read three YA novels that all happen to be about art, artists and self-expression, which I think is a great subject for teens. And all of them also happen to have a strong sense of place. Their settings are unusual and really come to life. 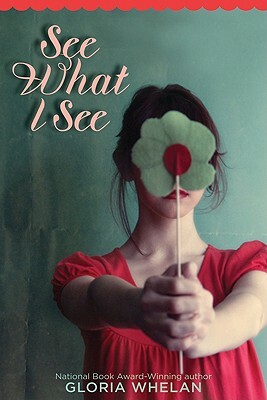 Synopsis (from the publisher): Kate Tapert sees the world around her in the paintings she adores. Yet one place she never sees her life is in the work of the famous and reclusive artist Dalton Quinn -- her father, whom she hasn't seen in ten years. Kate's own dreams of becoming an artist look like they're on the verge of coming true when she's offered a scholarship to art school in Detroit. The only thing she needs is a place to stay. Her father's house would be perfect, but when Kate shows up on his doorstep out of the blue, she has no idea what a life-altering decision that will turn out to be. Why I liked it: It's a quiet story, but one that blooms with possibilities. Kate takes on what would be considered adult responsibilities, yet this book can be enjoyed by a 12-year-old. I don't think I've ever read a book set in Detroit before. The sensory details are so perfect I could easily picture a city I've never seen. In addition, this novel deals with some tough issues (cancer, divorce) in a thought-provoking and graceful way. Synopsis (from the publisher): Ginny Blackstone spent last summer traveling around Europe, following the tasks her aunt laid out in a series of letters before she died. 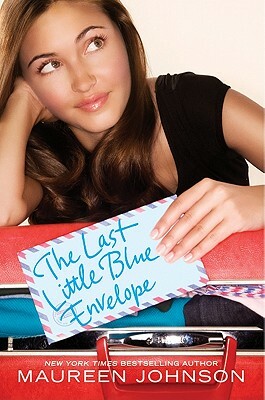 But when someone stole Ginny's backpack -- and the last little blue envelope inside -- the journey came to an abrupt end. Months later, a mysterious boy contacts Ginny from London, saying he's found her bag. Ginny heads overseas and gets caught up in a whole new adventure, filled with old friends, new loves, and once-in-a-lifetime experiences. Ginny must hold on to her wits... and her heart. This time, there are no instructions. Synopsis (from the publisher): Vanessa is wise beyond her years. She's never really fit in at school, where all the kids act and dress the same. She's an artist who expresses her talent in the wacky colors she dyes her hair, her makeup and clothes. She's working on her biggest art project, and counting the days until she's grown up and can really start living. That adult world seems closer when Vanessa gets her dream job at the art supply store, Palette, where she worships the couple who runs it, Oscar and Maye. And she's drawn to a mysterious guy named James, who leads her into new, sometimes risky situations. Is she ready for this world, or not? 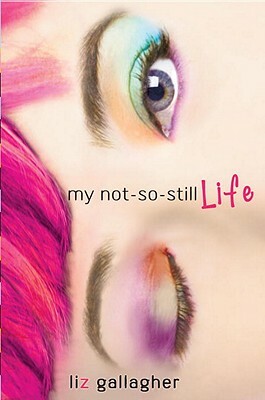 Why I liked it: Vanessa comes across as an actual teen, anxious to grow up and start her "real" life. She's mature in some ways, and incredibly naive in others. She makes some questionable choices, just like a real 16-year-old. I love the way she wears a string around her wrist every day, with her color choice representing how she feels. I loved the interaction with her family: her overworked Mom and her understanding Grampie. Her interaction with her two best friends, Nick and Holly, also feels extremely realistic, especially when she tries to tell them what to do. Vanessa craves new experiences so much, she assumes her friends do too. Just like the art in See What I See and The Last Little Blue Envelope, Vanessa's art is unusual. It would spoil the novel for me to tell you what her big project is and how she expresses herself in a new way, but let's just say it fits in perfectly with the book's themes. The best thing about this novel, besides the quirky character of Vanessa, is Seattle. The city really comes to life here, just as much as in The Opposite of Invisible, Liz Gallagher's first novel. I've never been to Seattle, but after reading these novels, I feel I know the place. Come back tomorrow for an exclusive interview with Liz Gallagher, as she answers questions about the writing of My Not-So-Still Life and what she misses most about Pennsylvania!